I think most people who have taken religion, civilization or world history classes in college know that the book of Noah was “borrowed” from the Epic of Gilgamesh, a classic of Babylonian culture. When it was written, Babylon was the largest city in the world with 200,000 inhabitants. Today its ruins can be seen about 53 miles south of Baghdad. There’s a reference to the city in the book of Genesis, the so-called Tower of Babel that was in all likelihood the ziggurat known as Etemenaki, a pyramid-like structure that was the centerpiece of Babylonian architecture. In the Old Testament, the tower was made by people who all spoke the same language. Because the builders supposedly aspired to have it reach the heavens, the deity got mad at them for being prideful, forced them to speak different languages, and then scattered them across the earth. There’s some uncertainty about the etymology of Babel since in Hebrew it means confusion–implying that the reference to Babylon is inaccurate. Whatever the case may be, scholars generally agree that the story had the Etemenaki in mind, the 300-foot-tall ziggurat in Babylon. In 578 BC, the Judeans stopped paying tribute to the Babylonians who took retribution by marching off their elite to the city of Babylon, the so-called Babylonian exile—an event that is described as a calamity by official Judaism. Another scholar looks at a written record that describes a Judean as having both a Jewish and a Babylonian identity, indeed the kind of status that would be enjoyed by Jews in the Middle East and North Africa for millennia. Part of the Judean culture involved writing the stories that would be collected into the Old Testament or what the Jews called the Tanakh. Irving Finkel, a British scholar of the period, believes that it was not just the Epic of Gilgamesh that influenced the Judean scribes. He points to the story of King Sargon, who was placed in a basket of reeds on the water to save him from those who would prevent him from becoming a monarch. Surely this must have worked its way into the story of Moses. As it happens, today is a Jewish holiday that is considered minor by religious authorities. Falling on the 14th day of Adar in the Hebrew calendar, which is March 24 in the Gregorian, Purim is considered to be on the same level as Hanukah and pretty much devoid of the piety of Passover or Yom Kippur. Like Hanukah, it is a nationalist tale of the plucky Jews fending off the gentiles. In the Wikipedia entry on Purim, we learn that some scholars believe that this story, like the ones alluded to above, was borrowed from Babylonian literature. Among them are Amnon Netzer and Shaul Shaked who argue that the names “Mordecai” and “Esther” are similar to those of the Babylonian gods Marduk and Ishtar (the same name of the Elaine May film that was crucified by critics but like “Heaven’s Gate” has gleaned more favorable reviews the older it gets.) Whether or not there is a Babylonian connection, few serious scholars believe that it is based on true events. Today, Purim is a quintessential Jewish holiday. To every little boy and girl who masquerades on Purim, Mordecai and Esther are arch-heroes of Jewishness. But a good case can be made that Mordecai and Esther, too, may have been quite integrated in Persian life and that Purim is the holiday brought to you by assimilated Jews. First, there is the matter of their names. Esther’s name probably is derived from Ishtar, a Babylonian goddess, and Mordecai’s name from Marduk, a Babylonian god. Equivalent names today might well be Mary and Christopher. Of course, committed Jews in open societies also adopted Gentile names. My parents, Orthodox Jews, wanted an Anglo-Saxon name for their little son, Yitzchak–so they named me Irving. But Christopher! Then there is that Miss Persia contest. Esther was entered into a competition to become queen by marrying a Gentile king. Imagine that the president of the United States gets divorced and there is a nationwide beauty contest whose prize is marriage to the president. What kind of Jewish women would enter? Not likely Hasidic girls or graduates of Stern College [the women’s college of Yeshiva University]. In 2003 they made a film titled “The Book of Esther” that appears to be part of the Christian Zionist lexicon, at least based on the trailer. Unsurprisingly, it hardly garnered an audience even among Ted Cruz voters. Two individual Arab-Palestinian men were assaulted by mobs of Jewish teens in Jerusalem last Thursday night. Both incidents involved victims who were set upon and beaten so severely that they had to be hospitalized. And in both cases the Israeli Hebrew media outlets that reported the story specified that at least some of the assailants were drunk and in costume. 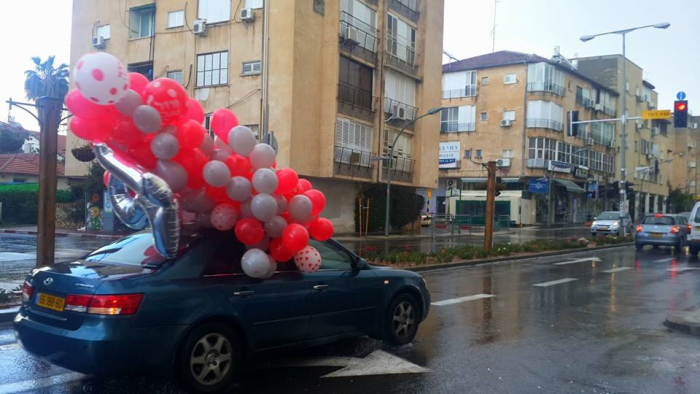 Thursday was Purim in Jerusalem. According to tradition, the festival is celebrated by dressing in costume and drinking to excess.